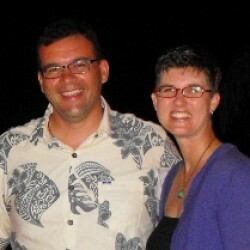 I can’t believe it…we have been married for 16 years today. What a fun day that was as our families gathered together, a joining of north and south 🙂 and two totally opposite personalities. I have been blessed beyond measure, challenged, cried until there was nothing left and laughed until…well that would be too much information. I had not a clue what I was getting into, was definitely not as mature as I thought I was and in many ways was totally unprepared for how amazing and rich this journey of marriage would be. I had no idea there would be such deep pain, but it seemed that the pain actually made it possible for the joy to be greater, for the contentment to run deeper and the celebration to be bigger. We have learned so much and just think about how much more there is to learn…it’s amazing!! I continue to marvel at Adam and the great ways God has put him together. His incredible capacity for challenge, his ability to draw out people’s strengths and take time to be a great husband and father. I have learned to have fun, and lots of it…guilt free and life-giving! I have learned better communication skills and continue to work on this every day! I have learned to be a parent and there is no one else I would want by my side for that crazy ride. I have learned to laugh when things seem so crazy you think you might lose it. I have learned about intimacy and laying down one’s life for the sake of others. I am definitely a better person because of Adam. I am grateful for each moment! Cheers to many more years of learning, growing and living life to the full…. Well said, Kim! I’ve said it many times before and I’ll say it again. You two – as individuals and as a couple – have blessed our family and our church and our community. We look forward to the day we can see you all again. May God Almighty be praised for your amazing marriage! May He continue to deepen and strengthen your marriage too. Just love you guys and your family! You have learned to hang on to Jesus through the ups and downs, trusting Him fully with your lives. I’m so happy to be a part of your incredible journey! Thanks so much Fawn! We are so glad you are a part of it! !